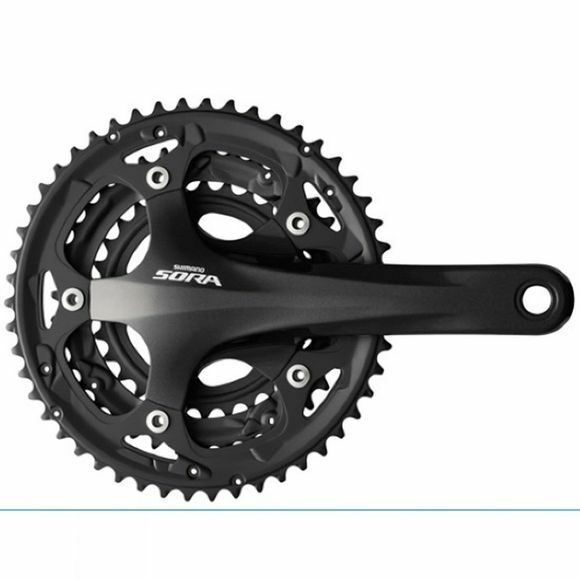 Shimano’s Sora chainset delivers the great quality Shimano are known for at a brilliant price tag, ideal for sport-level road riders. This 9-speed compatible chainset features strategically placed chain pick-up pins and tooth profiles for fast and positive shifting. It is super easy to install, adjust and maintain.